Microsoft Store is offloading HTC Vive virtual reality system with a FREE Vive Racket Sports Set (value of $150). This bundle matches the similar discount for the VR system by itself, so if you're planning to pick up an HTC Vive - this is currently one of the best deals online. The average price for this deal since released is $706.06. Lowest historic price was $549.99 on Dec 16, 2017 at GameStop. After scaling back the discount to only $600 (from $550), GameStop is evening out the promotion by increasing their gift card offering from $50 to $100 to continue to move HTC Vive VR systems. This makes it effectively a $499 VR system. While most retailers have ended their promotion on the HTC Vive VR system, GameStop still has the discount down to $550 PLUS an additional $50 GameStop gift card as an added bonus. Even better, through the end of the year every Vive purchase includes a free copy of Fallout 4 VR (value of about $45). HTC Vive is on tap this holiday season for $599 WITH a Deluxe Audio Strap and a $50 gift card as an added bonus. 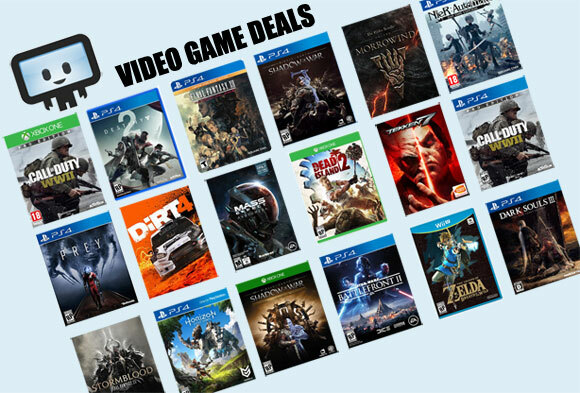 Deal is available at most major retailers though GameStop's $50 gift card is a nice bonus. Through the holiday season, all Vive purchased will also receive a free copy of Fallout 4 VR. Still available. Killer HTC Vive deal from the official store. This essentially brings the Vive down to a Rift's pricing level as the GTX 1070 is worth about $400 (now that Ti is available). Counting in Fallout 4 VR (~$50 value) and you're looking at some mighty attractive pricing. If you have $800 to splurge and you simply can't wait for Black Friday - this is a good deal. New historic low price on HTC Vive Virtual Reality System thanks to a combination of price cut from awhile back and MasterPass coupon over at Newegg. At $575 it's tempting for those with the budget for VR in their gaming repertoire.